Getting more precise numbers wasn’t going to fix the obvious problems or identify the undiscovered ones. Numbers matter, because people matter. If we keep track of them correctly, the right numbers can give us a lot of helpful information about a church and its ministries. For many years, I kept track of church attendance numbers very carefully. 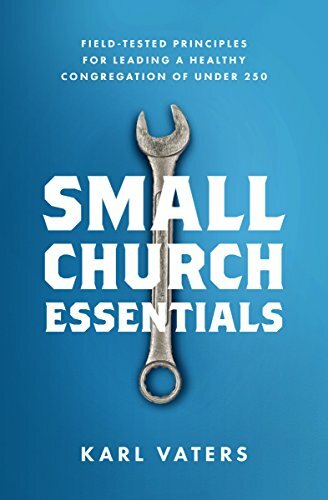 As the church grew, I calculated growth patterns, percentages, demographics, you name it. I found that counting wasn’t just important and helpful, it was fun. When we were growing. And we kept shrinking. No matter what we did to correct the downward slide. Eventually we lost about two-thirds of the congregation from its peak size. I don’t know the exact numbers we dropped down to because I stopped counting. But we ended up much smaller than when the growth spurt had started. I felt guilty about the decline. And I felt guilty that I didn’t keep attendance records any more. But I just couldn’t look at the numbers. I didn’t need attendance records to tell me what my eyes could see. Some of the challenges were obvious, including demographic shifts and limited facilities – all exacerbated by my own underdeveloped management skills. So we worked to correct what we could. But many of the problems remained a mystery. When the whole thing is going up in flames, knowing the precise temperature of the fire doesn’t help put it out. Keeping accurate records can help you see problems early and tweak issues before they get out of hand. Sometimes. But when the whole thing is going up in flames, knowing the precise temperature of the fire doesn’t help put it out. That was the case at our church during that difficult season. Getting more precise numbers wasn’t going to fix the obvious problems or identify the undiscovered ones. So we stopped counting and did what we could to douse the fire before we lost everything. And we didn’t start counting again for a long time after we corrected the slide and got things stabilized. By then I was grateful to be balanced and healthy – which they have been for many healthy years, now. The numbers didn’t matter any more. Have you ever been there? Maybe you and your church are there now? Maybe you’ve lost some people. Maybe you’ve never had a growth spurt to lose. Either way, the numbers aren’t increasing the way you think they should. And they haven’t been for quite a while. So you’ve stopped counting. Or someone still counts, but you don’t look at the numbers. And you feel guilty about it.